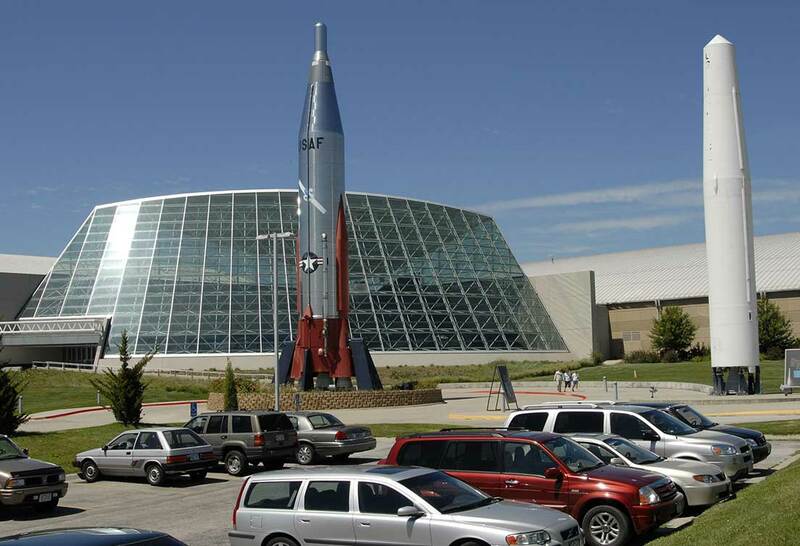 Since relocating my family from the West Coast a few months ago, I’ve wanted to bring my wife, Joanna, and kids to the Strategic Air Command & Aerospace Museum in Ashland, which is located roughly halfway between Omaha and Lincoln, Nebraska. I grew up military—my dad was stationed at Robins Air Force Base when he met my mom—and I joined the Air Force myself shortly after high school. It is in my blood. Here, looking from the upper level down upon the rows and rows of airplanes Dylan pointed at, I was reminded of the tremendous impact my dad’s generation made on the world and how important my own service is to me. It’s my desire to pass appreciation of both on to my children. “They’re pretty amazing, aren’t they, buddy?” I said to Dylan as we took a closer look at an F-86H Sabre, or “MiG Killer” as it’s better known in military circles. “What do you think so far?” I asked my 12-year-old daughter, Zoe, who loves space and astronauts, but before arriving this morning made it verbally clear that she’d rather be going anywhere in the world “except a boring airplane graveyard” with her whole family. 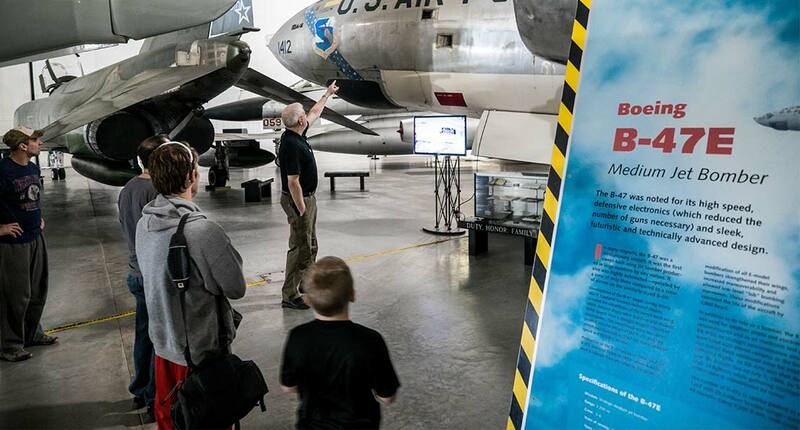 Explore history, aircraft and artifacts at the Strategic Air Command & Aerospace Museum. We took the stairs down to the lower level, and as the four of us strolled through the museum—two massive hangars joined in the middle by an architecturally impressive geometric glass structure—we read about the founding of the original museum in 1959 at Offutt Air Force Base, before it relocated to this amazing facility in 1998. Grouped together in the lower level of the right hangar, these aircraft that survived combat, skirmishes and just normal time in the air stand and hang from the ceiling, restored to mint condition. Walking among and beneath them, I noticed the kids taking extra time to read the description markers and sharing wide-eyed exchanges with each other—whether or not they truly understood what it all really meant to the history and safe-keeping of our country. A boost from Mom helps spark the imagination. Learning from an expert at the Strategic Air Command & Aerospace Museum. 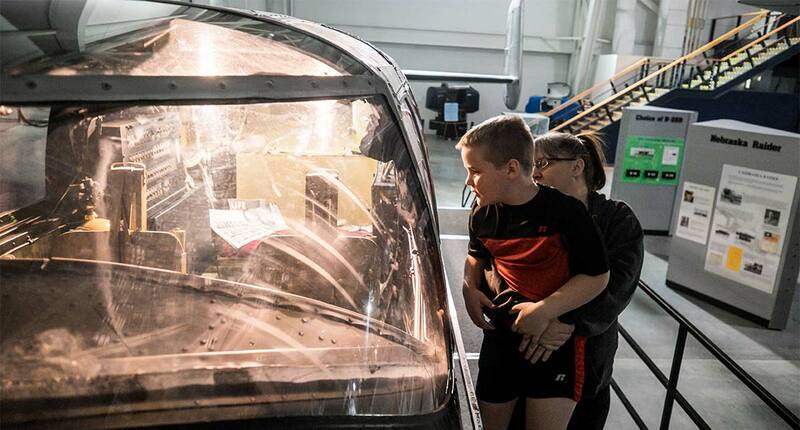 See the inner workings of an airplane. A small tour is a great way to learn. What I do know they understood was the number of regal birds that towered over them with massive wingspans and pointed beaks filled with cockpits. Joanna and I both grew up in the final decades of the Cold War, so to see these aircraft and realize their roles in helping maintain peace in the world was sobering. That level of significance was not lost on either of us—Joanna taking my hand and pointing to different panels without having to say a word—even though the kids were largely oblivious. On the upper level of the museum, we read about the many women and African-Americans who changed the face of aviation throughout history—persevering through ridicule, bigotry, sexism and racism to pursue their dreams—as we made our way through the special rotating exhibit. 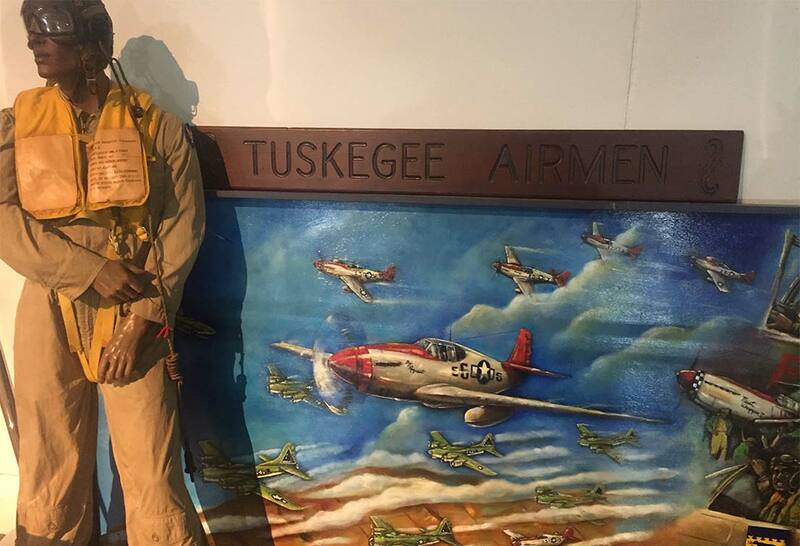 Learn about the famed Tuskegee Airmen at the Strategic Air Command & Aerospace Museum. Along with educational material about Amelia Earhart’s historic flights were descriptive panels about Bessie Coleman—the first African-American, male or female, to earn a pilot’s license—and Jacqueline Cochran, the first woman to break the sound barrier, among others. We also saw display panels, jackets, flight gear and other artifacts telling the story of the Tuskegee Airmen, an all-black air platoon who flew heroic flights in Europe and Africa during the last few years of World War II. I had heard of the Tuskegee Airmen, but to see and learn more about them was incredibly impactful. We next joined the kids, who were making their way through the “Searching for Humanity” display about the Holocaust. Joanna’s grandfather fought in World War II and helped liberate survivors from the Auschwitz concentration camp in 1945. We watched recorded stories from liberators and those who were saved from concentration camps, as well as read descriptions and looked at photographs of Hitler’s “Final Solution” and how people lost their humanity during this dark time in human history. Seeing her mom visibly impacted by the photos, Zoe grabbed Joanna’s hand and walked the remainder of the exhibit with her. We left the “Searching for Humanity” exhibit and rounded the corner to stop at the small cafeteria on the lower level for a quick snack. That’s when Zoe noticed the “Heartland Astronaut” exhibit, which highlighted the space career of Clayton Anderson, the Ashland, Nebraska, native who traveled aboard Shuttle Mission STS-117 to the International Space Station in 2007. Anderson also flew on Shuttle Mission STS-131. The exhibit outlines his early life in Nebraska, as well as the intense training undertaken prior to launch. Artifacts include flight suits, a flown shuttle tire and cameras used by Gemini astronaut, Wally Schirra. Eagerly, she grabbed my hand and led me to the exhibit to learn more. Plenty of hands-on discovery at The Children’s Learning Center. By then, Dylan and Joanna had joined us, and were just behind me and Zoe in reading the exhibit’s displays. “One last stop before we take off?” Joanna said. We stopped at the Children’s Learning Center on the way out, where Zoe and Dylan had a great time experimenting with the Bernoulli Blower—learning about airflow, speed and pressure—and Innovation Station. 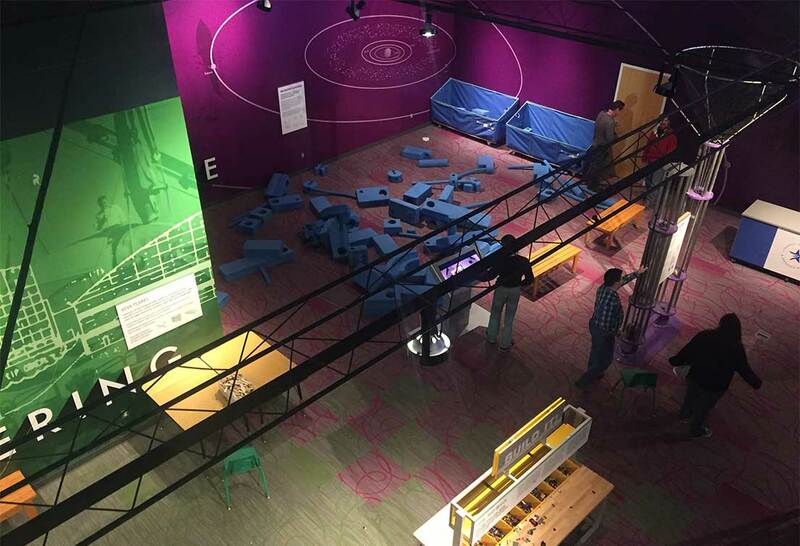 Next, they created personal inventions with large foam blocks—stretching their imaginations beyond their boundaries. I’d be lying if I said Joanna and I didn’t enjoy it quite a bit ourselves. While we all had a great Saturday morning, the true testament to whether or not this visit was a success came from Zoe’s 180-degree turn from earlier that morning. “Man, I wish we could stay longer,” Zoe said. I raised my eyebrows at Joanna, who met my face with a smile. “Now I want to become an astronaut even more than before,” Zoe continued. “Well, maybe you could convince Ms. Dahlman to bring your science class here for a field trip?” I suggested. 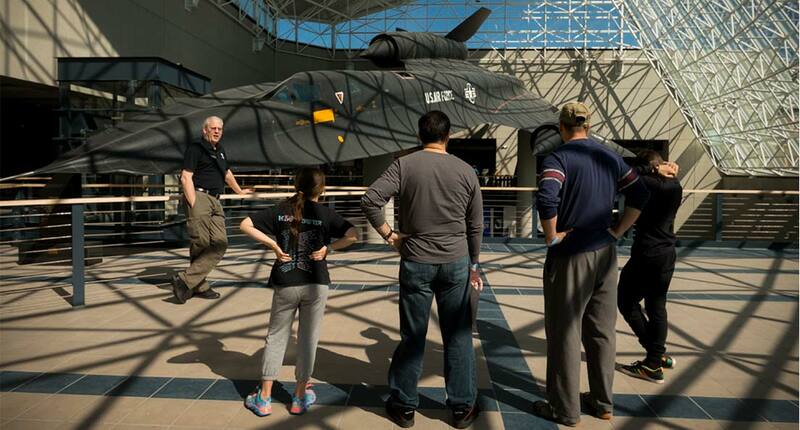 A few weeks later, Zoe and Ms. Dahlman’s class headed to the Strategic Air Command & Aerospace Museum to read more about Clayton Anderson, learn about airplanes’ roles in conflict, play at the Children’s Learning Center and explore for Military Appreciation Month. And I was happy to chaperone, knowing that the importance of this place, and the events and people it covers, is not lost on this military family. 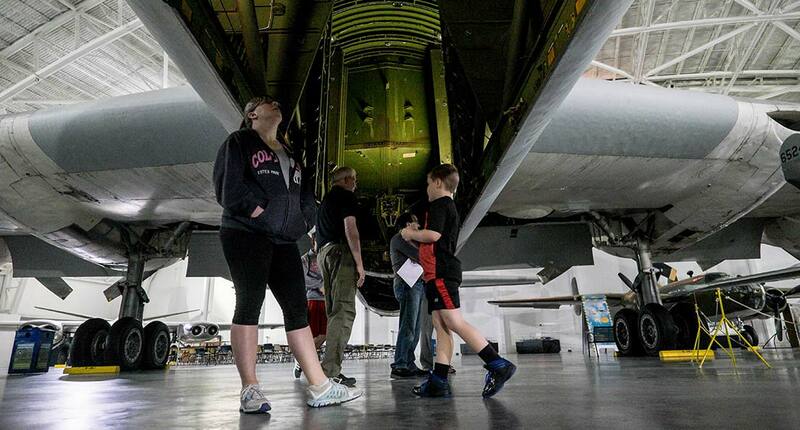 Fly in to the Strategic Air Command & Aerospace Museum.